Mathabar Singh Thapa was the Prime Minister and Commander in chief of the Nepalese Army from December 25, 1843 - May 17 1845. He was murdered by his nephew Jung Bahadur Rana. Born in Borlang, Gorkha he was the son of Kaji Nayansingh Thapa who was killed in the war against the Kingdom of Kumaon. He was a nephew of Bhimsen Thapa and also the maternal uncle of Junga Bahadur Rana. He, who was exiled to India when Bhimsen Thapa was supposedly found to be guilty of murdering the King Rajendra's son at the age of 6 months, was asked to return to Nepal by the queen. He arrived in Kathmandu Valley in 17 April 1843 where a great welcome was organized for him. The second queen of Rajendra, Queen Rajya Laxmi declared him Minister and Commander-In-Chief of the Nepalese army in December 25, 1843 believing he would help to usurp the power from Rajendra, her own husband, and make her own son, Ranendra as the king of Nepal. After consolidating his position, he successfully led to the murder of all his political adversaries. Mathabar Singh, however, could not fulfill the interest of the queen to make her son Ranendra Bikram, the king. It made her angry. So, she wanted to take revenge with him for which she asked Junga Bahadur Rana, his nephew, to shoot him. The next day King Rajendra declared that he had himself killed Mathabar Singh Thapa accusing him of several activities that he had done to undermine his own power. Having seen the fall of Bhimsen Thapa, he believed that having a personal army would prevent his own downfall; so he raised three regiments dedicated to him and only him. He built army barracks around his house for his personal protection. For this, he used the army like slaves. In 1845 January 4, he declared himself as the "Prime Minister of Nepal". This was the first time anyone had been titled "Prime Minister" in the history of Nepal. All before him were either titled as Mukhtiyar or Mul Kajis. It is believed that at that time he had become even more powerful than the King of Nepal. His power and over influence in the Nepalese politics and even in the personal life of the monarchy itself led to the eclipse of his power and his downfall by the hands of Jung Bahadur Rana. The murder of Mathabar Singh Thapa led to the political instability in Nepal. 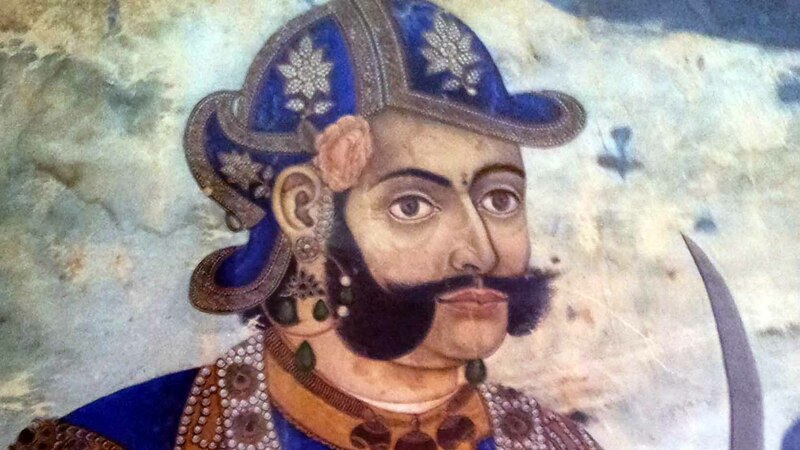 Though, Fatte Jungh Shah was declared the Prime Minister (1845 September 23), Gagan Singh had more regiments of the army under him and was more powerful. Jung Bahadur Rana also had 3 regiments under him. Fatte Jungh Shah himself had 3 regiments of the army under his control. Also Gagan Singh had the special support of the queen Rajya Laxmi Devi. British Resident Sir Henry Lawrence once mentioned that, æIf there is struggle for power, that struggle will be between Gagan Singh and Jung Bahadur.Æ Ultimately, the extreme power of Gagan Singh led to his assassination by King Rajendra and Prime minister Fatte Jungh Shah in 1846 September 14 at 10 P.M. . The assassination of Gagan Singh led to the Kot massacre and ultimately, the rise of Jung Bahadur Rana. Mathabarsingh Thapa was the first prime minister of Nepal to wear a crown. The 104 yearruling Rana Dynasty was also related to him. Reference: Acharya, Baburam. Aba Yesto Kailei Nahos. Kathmandu:Sajha Prakashan, 2057.